Join us for a very special event! Instrument maker and technician, Tom Hiniker will be in the shop from 4-6 on Thursday, Sept. 27th! Tom is the maker of Hiniker oboes, is a fine repair technician, and also has made a career of playing the Heckelphone in professional orchestras around the country. 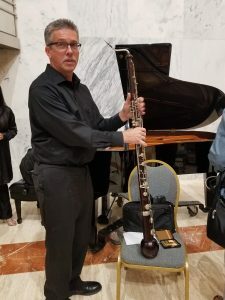 Come hear about Tom's unique career as an oboe maker/technician and professional Heckelphone player!